It is a responsibility of all clubs to help grow the sport by providing opportunities and pathways for young cricketers to take part in adult competitions. During the season we will look at the number of young players registered and competing in Open and Womens competitions, and how many matches they play. It is obviously very early in the season and school and state exams will curtail involvement for many. 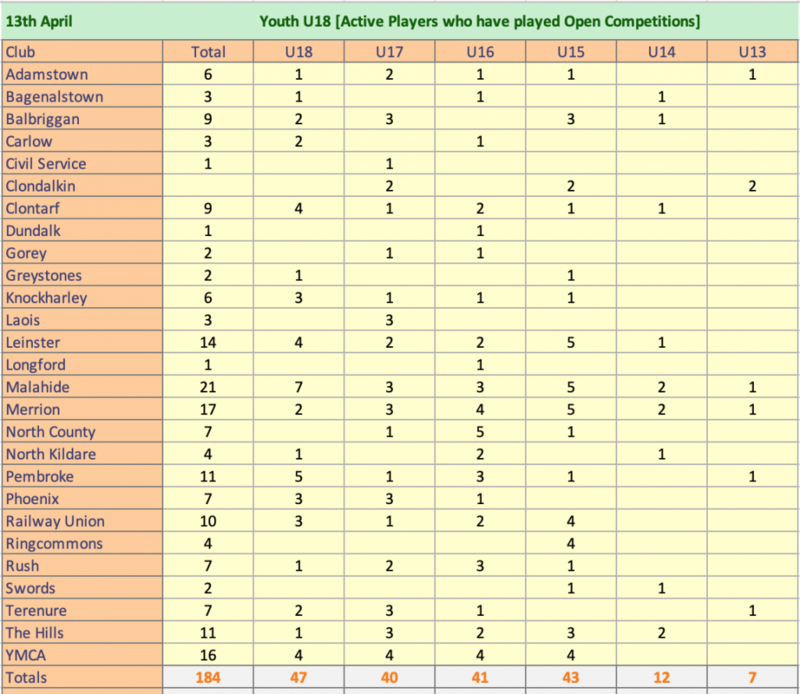 But to provide a baseline [which can be used year on year] we set out a Table of currently registered active players [Under 18] who have actually played in an Open Competition previously. This table will be updated as we go through the season. We will also track the number of debut players.